Umi Tenjin will be at Anisong Summer Friends -Miracle in Winter-, plus Shikishis! Thread: Umi Tenjin will be at Anisong Summer Friends -Miracle in Winter-, plus Shikishis! Umi Tenjin (Koushiro in Adventure and 02) will be at the Anisong Summer Friends -Miracle in Winter- music event. 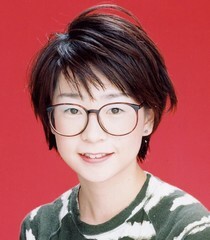 This is on top of Yuto Kazama (Yamato in Adventure and 02), Kae Araki (Hikari in Adventure and 02 and Patamon in Frontier), and Aoi Tada (Terriermon in 02 and Tamers plus Lopmon in Tamers), who were announced previously. 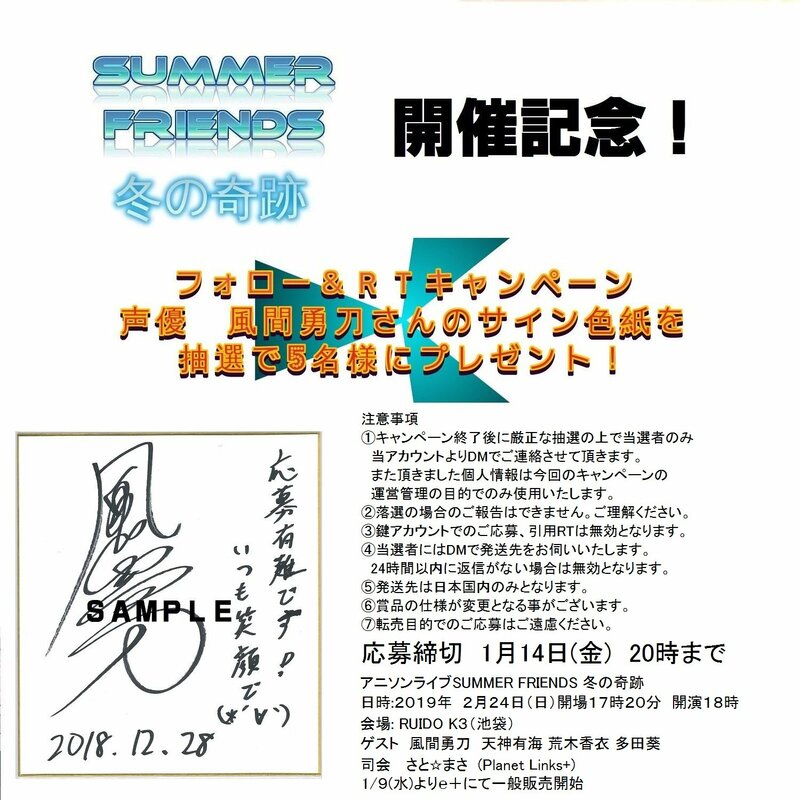 On top of that, a short campaign has been announced by Summer Friends. They are giving away 5 shikishis signed by Yuto Kazama! 1- Follow the Summer Friends Twitter account. The campaign is only available to those in Japan, as these tend to be. Prior details for the event can be found here and here.